This is the plan for anyone who wants to set up an online store . It comes with all the features of Premium, with the addition of a fully-equipped Ecommerce Store, which means users can display products and accept payments from customers. The Ecommerce option costs $19.98/month for a yearly subscription. As you can see, when you order an annual subscription, your total cost will be less than if you pay 12 months with monthly billing. However, with the Pro and Premium plans , the difference is not very significant—about $8-$9. When it comes to Ecommerce, the difference between ordering an annual subscription and paying monthly for a year is about $60. 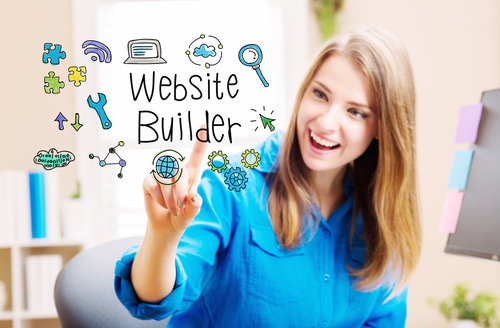 Like SiteBuilder, Wix offers a free plan, which comes along with a Wix domain name and Wix ads. However, if you want a more comprehensive plan, Wix has 5 paid options , as opposed to SiteBuilder’s 3. Weebly offers a free option and 4 additional paid options: Starter, Pro, Business, and Performance. Similar to Wix, Weebly’s highest level plan, Performance, doesn’t really have a counterpart in SiteBuilder; SiteBuilder’s highest-level plan only goes up to Weebly’s 3rd-level plan.